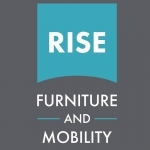 Multi award winning Harrogate mobility company, Rise Furniture and Mobility is one of the UK's leading mobility retailers that really understands its customer demographic. What if one of our elderly relatives and loved ones needed something to make their daily living a little more comfortable, easier, or even help them maintain their independence at home? If they were lucky enough to find it; only to discover it was uncomfortable and heavy or was some archaic looking contraption that wouldn't look out of place in a museum? The only alternative... a long wait for a new or secondhand product prescribed by the National Health Service. This set us thinking... Why can't daily living aids be attractive and functional? Even better, value for money? As our loved ones get older, simple everyday activities once enjoyed, that we take for granted e.g shopping... become stressful and difficult. Using our unrivalled experience, we're constantly looking for new, and interesting products that make a difference to people's lives. Welcome to shopping at Rise Furniture and Mobility. 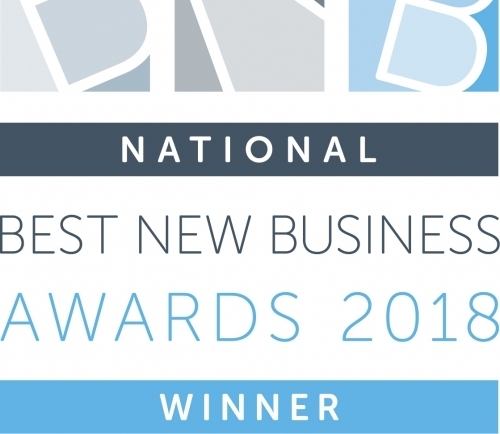 Rise Furniture and Mobility Winners of National Retail Business of the Year. The first and only mobility business ever to win the coveted title, beating competition form every aspect of retail. 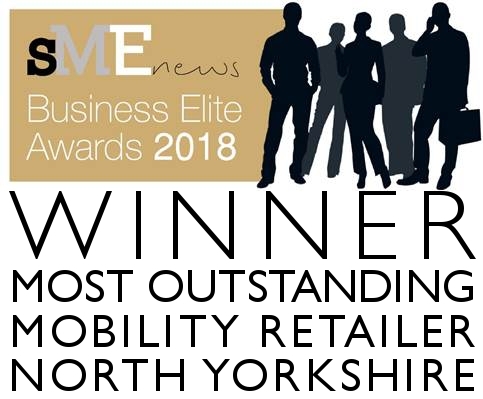 Yorkshire retailer Rise Furniture and Mobility wins SME News Most Outstanding Mobility Retailer in North Yorkshire. Yorkshire mobility retailer and National retail business of the year winner, Rise Furniture and Mobility has been Highly Commended by the UK's healthcare industry for Best Service at the BHTA Awards. 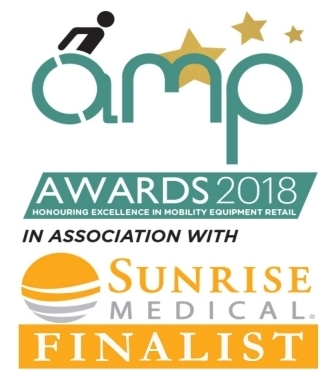 Also a finalist for Healthcare Retailer of the Year the Harrogate retailer has scooped several awards to become one of the UK's leading mobility retailers. 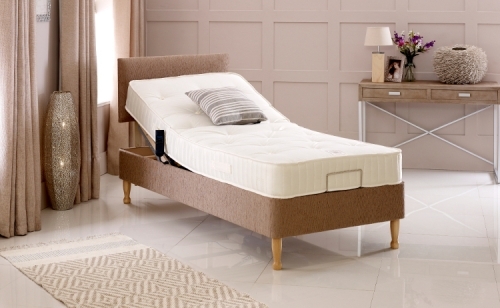 Choose from our fantastic range inc. Which? 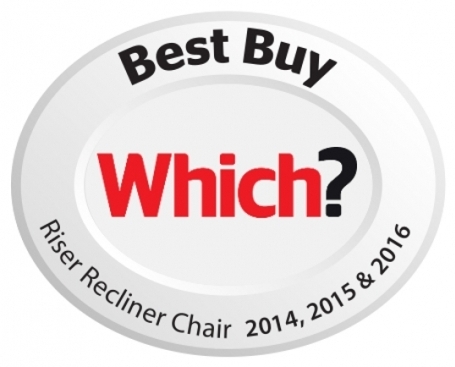 Best Buy rise and recline chairs. 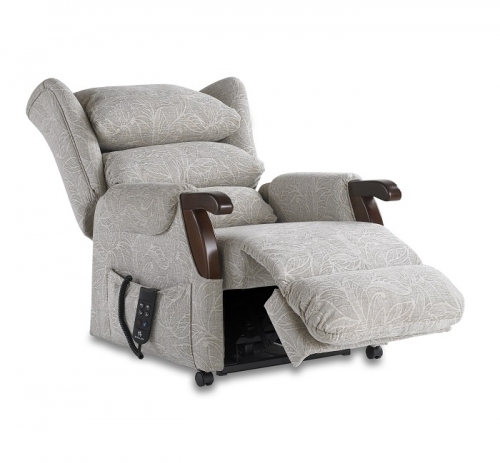 Single or dual motor with a choice of four back cushion designs: two part split back, lateral side support, button back or three tier waterfall back. 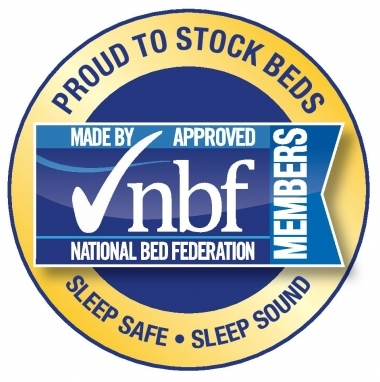 Hand made to order British adjustable beds in a choice of divan, drawer divan or 4 part surrounds and 5 choices of mattress: Luxury pocket sprung, memory foam, memory foam and latex and our unique dual season winter/summer mattress. Try before you buy. I took my dad to this shop yesterday and was so glad I did. The owner Carl ,was super with dad and got him sorted with shoes/slippers and a reclining motorised chair.Carl took time to measure dad for his footwear and explained everything about the operation of chair in detail, giving dad confidence to use the chair in his own home. We were lucky as the chair dad liked was in stock and it was delivered that evening. I couldn't recommend this mobility shop highly enough. Excellent customer service! My patients (I'm a visiting podiatrist) have valued Carl's input to their mobility needs. He goes that extra mile to assist people (even offering a door to door service!). His products sell themselves through his holistic, tailored approach but mostly I like his ethos - falls prevention; help at an early stage.